Life nowadays is peculiar, I find. People have become very insular and isolated, and there appears to be this constant need to prove oneself and convey an image of abundant wealth and success, that is measured in material possessions. The more expensive the clothes and perfumes, the jewellery and the car, the bigger and better house and so forth. Even social media, such as Facebook is filled to the brim with people bragging. Why? How come this is so important to people? Why is it so important to know what some random celebrities did on the weekend and how much some actresses award ceremony gown cost? At the same time we are not looking after ourselves, our kids are running a riot and our parents are slowly withering away in care homes. In our pursuit for the biggest TV we are forgetting to live. As we rush through each day hoarding stuff and seeking the next retail thrill we are becoming more and more miserable. We as a society are becoming alienated from the very basic things that make us happy. I was sitting down the other day watching my kids at play. They were having a great time with a bucket and a spade and some sand. Their imagination was creating a world of wonder out of those most basic of ingredients. When and/or where do we lose the ability to be spontaneous and to appreciate the simple things in life? On further reflection I came to a realisation that most people lead such boring and unfulfilling lives that they are forced into seeking artificial stimulation from the internet and TV, thus completing the vicious circle of isolation and alienation from human interaction. That is why you see parties in restaurants, all with their eyes glued to the screen of the phone. It’s so much more convenient and interesting to read the goss than it is to listen to accounts of the boring lives of our friends and family. And they feel the same about us. We really have no great stories to tell anymore. This brings us back to the title of this blog post. 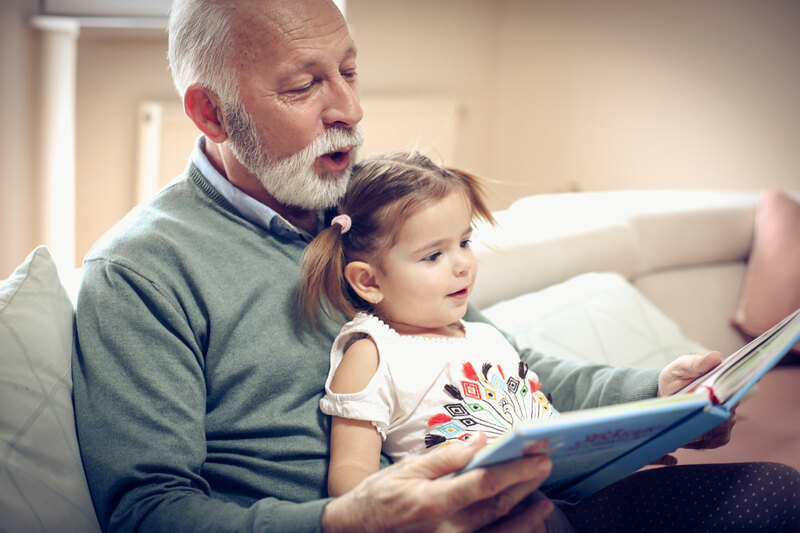 What stories are you going to tell your grandkids? What kind of stories do you think they would like to hear? I bet little Billy will not be in the least interested of ‘the time that grandpa worked 70 hours per week for five years on the trot and bought a massive BMW’. He will also not care about ‘the story of the great bonus’ nor ‘the saga of daily train commute’. He will have no concept of the importance of shopping at Hugo Boss or wearing Chanel perfume. Rolex, Omega, Breitling and Cartier are alien names for him. Instead of leading a life cluttered with things maybe we should try and live a life filled with experiences. How to change this focus? First and foremost, you must become aware. To wake up, in a manner of speech. Learn to appreciate the serene beauty of the quiet moment at sunrise when the air is calm, the colours in the sky are vivid and the world pauses to hold its breath before bursting into a new day. Allow yourself to be awed by the majestic power of a big storm. Get out in the middle of a blizzard and lose yourself for a minute in the swirling snow. Stare into the flames of a campfire, watch the play of water running down a river, lie down in the grass and make out the shapes in the clouds. Immerse yourself in the feeling of weary satisfaction of cresting a summit after a long day spent walking in the hills. Cherish the sweet triumph of conquering your fears and doing something that you always dreamt of doing but always had an excuse not to do. Live! Live each day and love it! You will notice a shift in your own life from hectic to serene and from cluttered to clarity. It’s not difficult. This will allow you to assess what is truly important to you as a person. Maybe it will lead you to collect experiences and to put yourself into the situation that good stories are made of. In a good story the elements of adventure, danger, fun and a happy ending all play their important part. Make the story of your life, your own experiences, more interesting than the video games or the celebrity gossip. You owe it to yourself.